10 Best Free Music Websites To Download Songs Legally In 2018. The internet offers a lot of things and among them is free music. You can find plenty of websites that offer free downloadable music; however, not all of them are legal. 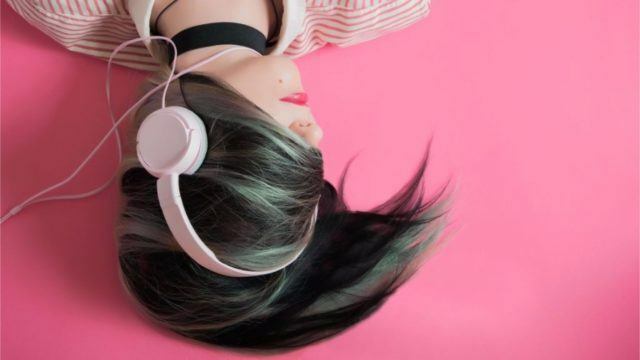 So if you are looking for songs that can be availed safely and free of cost, we have handpicked the best music websites for you. One might argue also why download free music when you can just stream it. Well, streaming online music is cool but what do you do when your mobile network connection or Wi-Fi is down. That’s where you need offline music, and the best part is you can carry your favorite tracks wherever you go without spending a single penny. So here’s a list of best sources where you can find an unlimited number of songs for free. However, not all musical tracks on these platforms are for free as some of them are paid and available only for free music streaming. SoundCloud is one of the popular music sites that lets you stream unlimited music and download songs for free. In fact, it is also viewed as the best Spotify alternative where you can get online music without paying. In this online music streaming community, the content is uploaded by independent artists and famous musicians. You can search for songs through bands or artists tags in the search bar. SoundCloud was also recently featured on our list of India’s best music streaming services. However, not all music at SoundCloud is free, and some of them even require you to Like a Facebook page to obtain the track. But many of them can be downloaded instantly by hitting the Free Download button right below the soundtrack. The songs uploaded at Jamendo Music are protected by the Creative Commons license, which means you can safely download music offered on the website. All the content present on this site is independent music, so if you are searching for mainstream tracks, you will probably have to look somewhere else or pay for it. Jamendo is best suited for music explorers as they have well-curated playlists and radio stations that are regularly updated. In case you want to license music for your video, commercial, or film, Jamendo also offers a rich collection at fair prices. 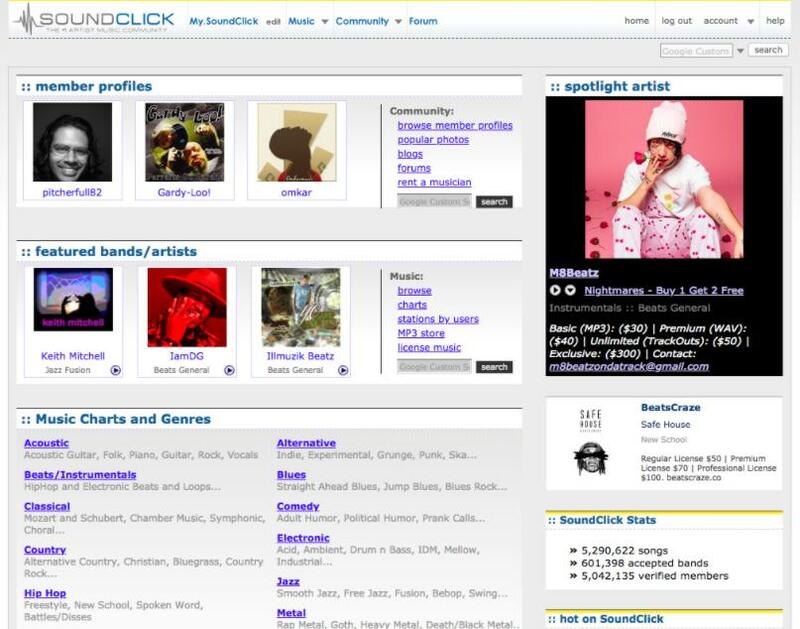 SoundClick is the best place to download music directly from artist’s websites. There are several artists on the platform offering their music for free. You can also buy licensed songs or download the free ones legally. One can explore the huge collection of songs available there according to genres. You can stream or download them as per your needs, once you have signed up on the website. Even though this free music download website is a little cluttered and the UI isn’t that friendly, there are some cool features such as creating custom radio stations, interacting with other listeners on the forum and reading more about your favorite SoundClick artists. There is also a feature that lets you mail personalized e-cards to anyone with themes such as birthday, valentine’s day or party with a custom text and any background music of your choice on SoundClick. 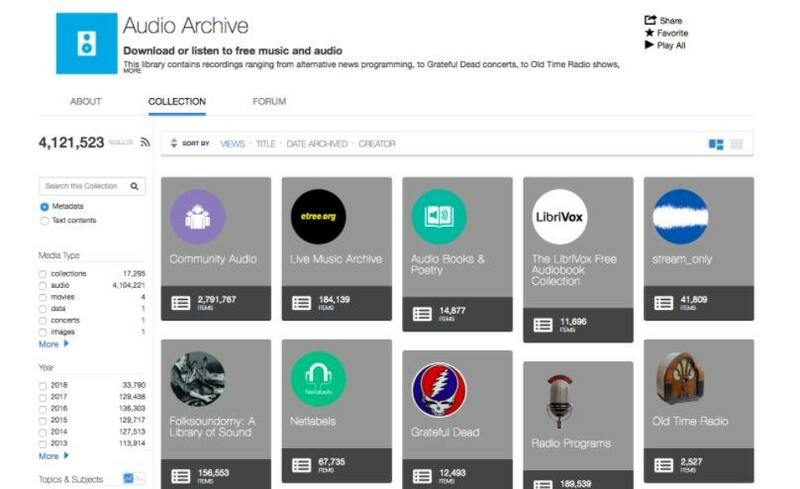 Internet Archive’s audio section not only offers you free music but also brings audiobooks, podcasts, radio programs and live music. The audio library contains over 2 million free digital audio files. 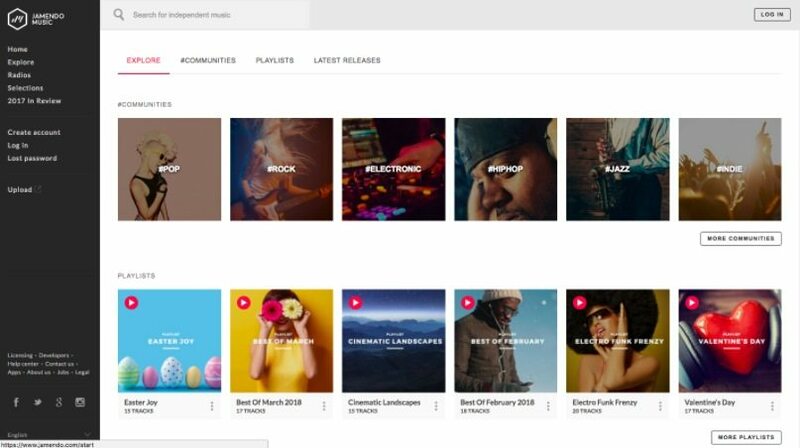 Even though the songs aren’t well categorized, music lovers can sort the audio tracks available according to the year of publish, creator, language, and other filters such as most viewed, media type, topics & subjects. These categories can be a little confusing, yet upon searching hard enough one can still find some amazing songs. I was able to find free music downloads from all kinds of artists and even the global, mainstream songs ones from Ed Sheeran, John Mayer, Coldplay and Kendrick Lamar. The best part is you can download music safely and free in multiple file formats such as MP3 and OGG. You can go through the vast collection of songs at Free Music Archive and legally download music for free. It offers an extensive array of online songs and amazing playlists curated by various music enthusiasts and labels. The best part is, you can download free songs without even creating a user account – which is a prerequisite for most of the music websites. 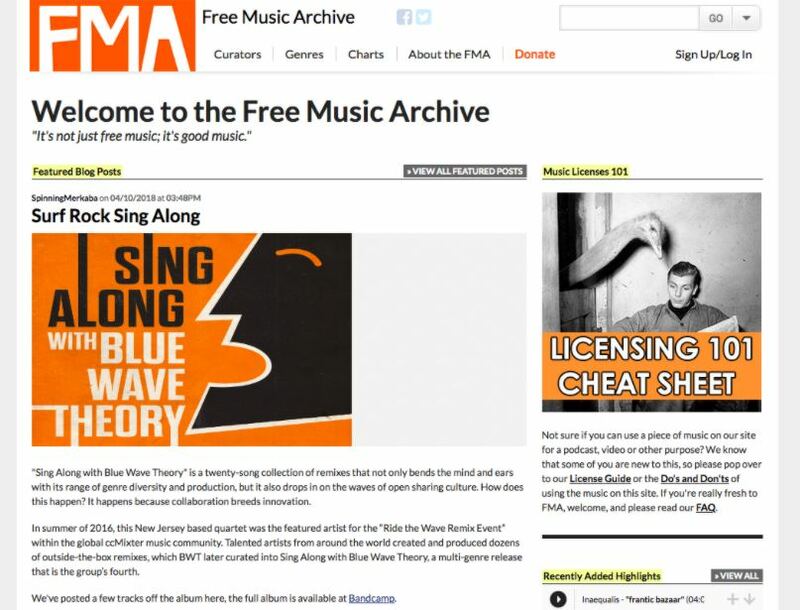 At Free Music Archive, anyone can contribute to the site by creating their own playlist from personal favorites or other music they own the rights to. You can also explore new music by genres, artists or the top charts available for all time, week and month. 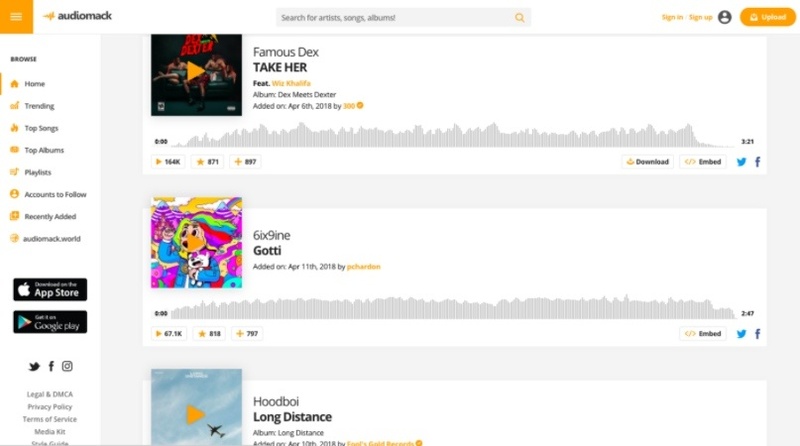 Audiomack is an emerging music sharing platform that has a user-friendly interface which makes it the best SoundCloud alternative. This free music download website is a hub for artists, labels, and music lovers for discovering amazing music. 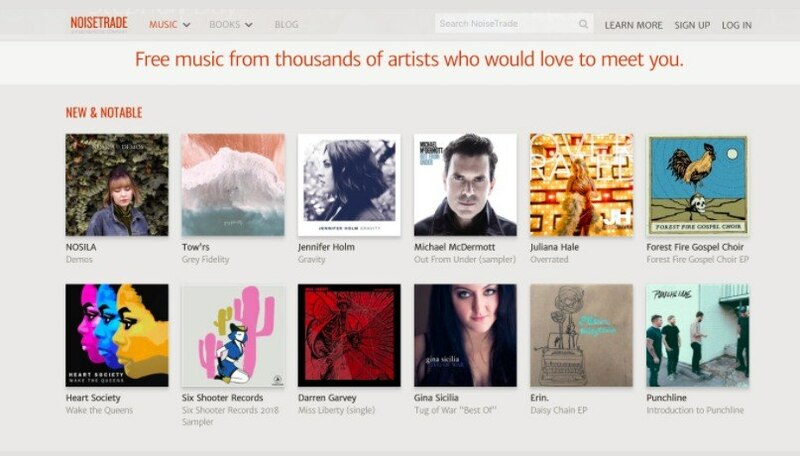 It has well-categorized sections such as Trending, Top Songs and Top Albums that will help you to discover great songs. The trending music section has the hottest Hip Hop, Electronic, and Reggae listed in real-time which has made quite popular among the young population. 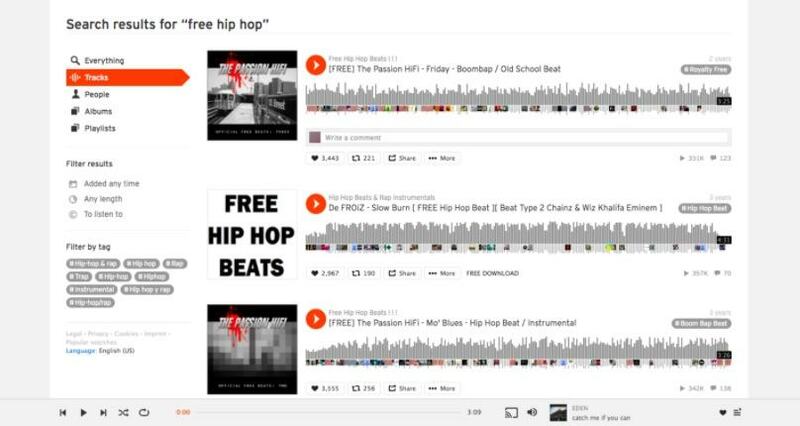 Not all the songs on Audiomack are free but many artists offer their tracks and remixed music for free downloading. But you can stream an unlimited number of songs through the website on desktop PC, or on phones through free iOS and Android app. NoiseTrade has an amazing collection of albums by several artists who want you to check out their creations. In case you like the song and, you can render your support to them by making a donation. Music on this website is completely free and legal to take. However, the songs can be streamed partially and to obtain full access or download an album, you will have to trade your email address and postal code. Once you are done with it, the album will be saved as a ZIP file containing the MP3 tracks. Finding new songs on NoiseTrade is also quite easy. Just check out the Trending section and Top Downloads. Songs on CCTrax are available as Creative Common music so it’s free and safe to download music from this platform. The website has a nice layout where you can search for music according to license, genre, label, and artist. 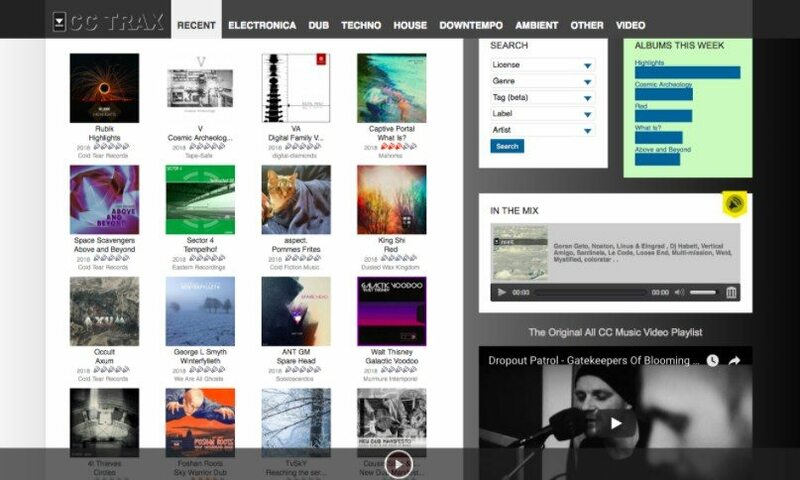 However, the website offers online songs in a handful of categories such as Electronica, Dub, Techno, Ambient, etc. But you can listen to or download the tunes without creating an account and there is also an option of getting the entire album at once. 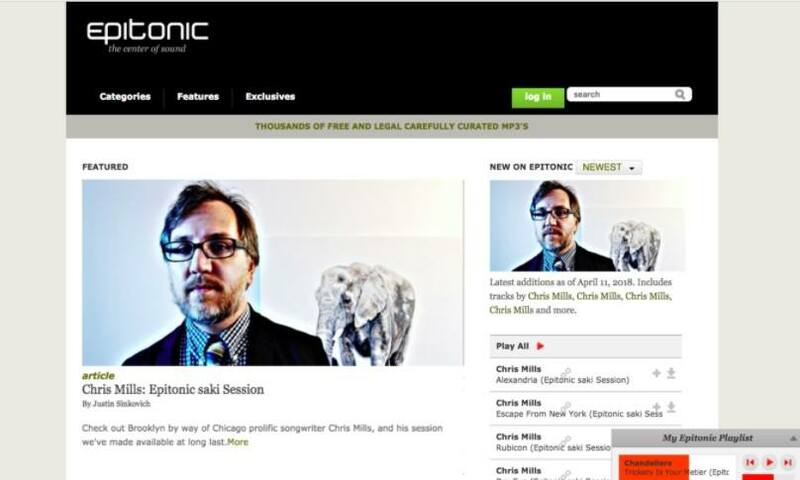 Epitonic is a curated site that has an immense collection of free and legal MP3s available for streaming and download. Started in the year 1999, it is probably one of the oldest websites offering free MP3 online created by established, indie-leaning labels and artists. You can explore new tracks through its web-based audio stream and create your personalized playlist on the website by signing up. The site has been categorized according to labels, artists, and genres to help you discover good music. YouTube is one of the largest sites on the internet offering unlimited video streaming and many of us also use it as a music streaming service because it has almost all kinds of music in it. But the reason I have placed it the end is that obtaining songs from YouTube is tricky. 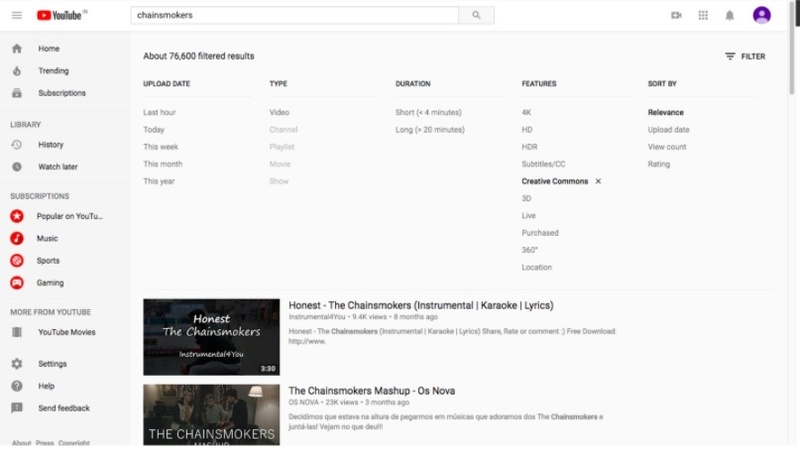 Not all songs on YouTube are downloadable but you can search for songs by setting a Creative Commons license filter and the genre you want. Music tracks with CC license are free and safe to download but depending on the license terms, you might need to credit the artist before using in your video or any other platform. The aforementioned websites have been ranked on the basis of ease of use and popularity. However, in my personal opinion, audio section of Internet Archive’s makes it the best free music download website because I can find almost every artist in there. You are free to choose the one which suits you the best, so go ahead and explore these sites. In case you didn’t like anything on these websites, here’s a list of best free radio apps where you can explore new music. An easygoing person with a knack for writing. Loves to laze around and binge-watch TV series. Best way to catch her attention? Show her a meme she hasn’t seen! The post 10 Best Free Music Websites To Download Songs Legally In 2018 appeared first on Fossbytes.